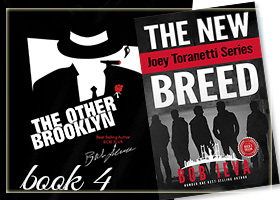 Meet our authors. Connect with them Today! yla Faircloth Ellzey is in love with the world around her. Her hobbies are legend, but she especially enjoys taking nature photos, particularly of varieties of mushrooms and colorful blooms. Her mountain of scrapbooks continues to grow as new photos are added. Adventurous, she and her husband travel extensively and have visited five of the seven continents. She is a prolific writer and a month spent in England recently doing research on her ancestors will produce an historical fiction novel. A member of the Tallahassee Writers Association for a dozen years, she has served on their board, and as chair of committees, and has co-chaired two annual conferences. She has self-published three books, Loosing the Lightning, fiction about innocence lost, betrayal and redemption, She is Woman, a short-storybook about 24 very different women, and Peregrination, a slim volume of poetry about journeys both of distance and of the heart. A Florida native and a graduate of USF in Tampa with a double major in English-Speech and a Master’s degree in English Education from UF aided her in her career in administration, much of it spent in the periphery of our nation’s capital. Retired, she returned to Florida and lives with her husband, Frank, in Westminster Oaks retirement village where she participates in acting, card playing, and volunteer opportunities. 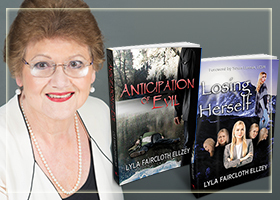 Anticipation of Evil, a murder mystery, is followed by a novel about DID, better known as Multiple Personalities. Titled Losing Herself, it is Susie’s story. As a young teen, she is made responsible for her older sister Emma and must confront several different alters living within her much-loved sister and best friend, literally losing herself in the process. 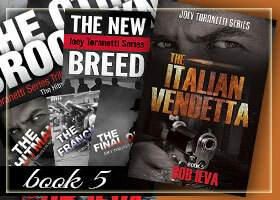 Watch for it from DocUmeant Publishing. ynthia White is a pastor’s wife, proud mother of three adult children, speaker, certified Precept Bible teacher, entrepreneur, mentor, and mental health advocate. She is the founder and CEO of the Remarkable Living Institute a division of Cynthia White & Associates, LLC. She is passionate about God, His Word, and inspiring women to daily live their best Remarkable Life, promised in John 10:10, despite the challenging curves and setbacks. 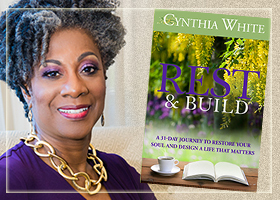 Cynthia’s mission is to help every woman intentionally live life by design and not default, with grace and ease. She believes when Remarkable Women who rest deliberately, live purposefully and lead impactfully show up, remarkable things are bound to happen. She studied Criminal Justice at Old Dominion University. She is a lover of tea, flowers and animal print. at Stanford was born in Philadelphia. Her farming family, looking for year-round growing seasons, moved to Delray Beach, Florida when she was one. She lived there until a brief stint in the Air Force took her to California. She graduated from Florida State University with a B.S. in Secondary Education, which was never used for its intended purpose. 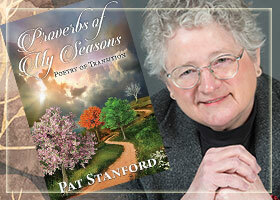 While some of her poems have been previously published in anthologies, Proverbs of My Seasons is her first published collection. She also writes short fiction and won second place in the 2004 Seven Hills Contest with her short story, Divorce Sale. Her creative non-fiction, Fixing Boo Boo; A Story of Traumatic Brain injury, won the gold medal for Florida Non-Fiction in the 2017 Florida Authors and Publishers Association President’s Awards. With a passion for roses when it isn’t too hot outside, she has served as President of the local rose society and is a bronze medal recipient with the American Rose Society. 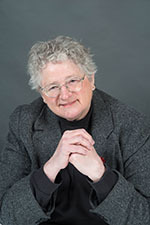 She is an active member both Tallahassee poetry groups: Poetry for The Love of It and Big Bend Poets & Writers and is President of the Tallahassee Writers Association for 2019. Pat lives in Tallahassee, Florida with her husband, dog, and a quirky cat. She is working on another volume of poetry, a follow-up non-fiction, and a novel set in Mongolia. 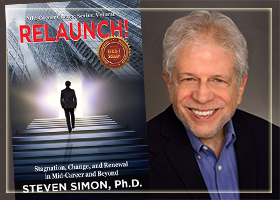 teven Simon, Ph.D., President/CEO Human Services Outcomes, Inc. is licensed as a professional counselor in several states, is a certified rehabilitation counselor (CRC), is a distance credentialed counselor (DCC) and is a professional member of the National Career Development Association. He has extensive experience in the workings of large and small organizations at all levels. In addition to his career consulting private practice, to date Dr. Simon has provided vocational expert testimony in over 15,000 Social Security disability hearings. acinta Kambach, Ph.D. aka Dr. Jai holds a Bachelor of Arts in Communication from California University San Marcos, a M.B.A in Organizational Psychology and Development from American Intercontinental University, and a Doctorate in Organizational Leadership from Brandman University part of Chapman University System. 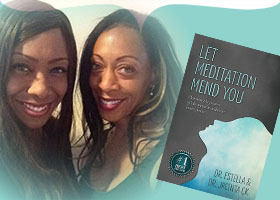 She co-authored the book, Let Meditation Mend You, is a lover of fine art, travel and positivity. She lives with her husband her four amazing children in the Netherlands. ith alifelong passion for history, Robert Jacob has been heavily involved in living history interpretation and reenacting for over 40 years. He has participated in activities covering a wide range of time periods including numerous French and Indian War and Revolutionary War reenactment groups, Western Gun Fighter groups, regularly attending Mountain Man Rendezvous and Renaissance Fairs. During the past 12 years he has focused on the golden age of piracy with a concentration on Blackbeard. Originally from Pittsburgh, PA, Robert graduated from Duquesne University with a Bachelor’s Degree in education in 1978. He taught in the West Point public school district, West Point, VA for five years while completing his Master’s Degree from Virginia Commonwealth University in 1983. In 1982, Robert entered the United States Marine Corps reserve and augmented to active duty in 1983. During his service, he became a military occupational specialty instructor and earned the designation of Master Training Specialist. Later in his career, he became the Commanding Officer of the Marine Detachment at the same school where he had earlier instructed. He achieved the rank of Chief Warrant Officer 5 and retired after 31 years of service in 2013. While researching information on the golden age of piracy, Robert realized that most of the publications on the subject were contradictory and even incorrect. 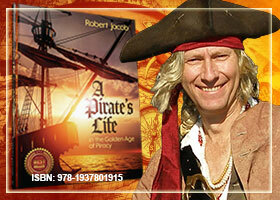 This motivated him to write his currently soon to be released publication, A Pirate's Life in the Golden Age of Piracy. 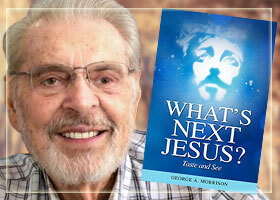 eorge A. Morrison is the author of the Triune God Bible Study Guide series. Book one is The Nature of God, Through Jesus Christ. This, his second book, What’s Up Jesus: Taste and See, continues your journey as you search for a deeper, more personal relationship with Him.After a short break, he hopes to embark on the final book about the Holy Spirit. ichard Smith went to college to finish his studies as a jeweler. Since college he has worked at various occupations. 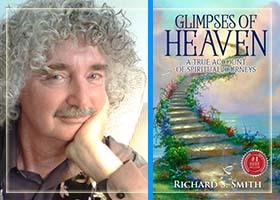 In his first book, Glimpses of Heaven, Richard shares his love and passion which is richly enveloped in his experiences about visiting heaven. Richard and his wife, Josephine, reside in Florida with their feline companion. 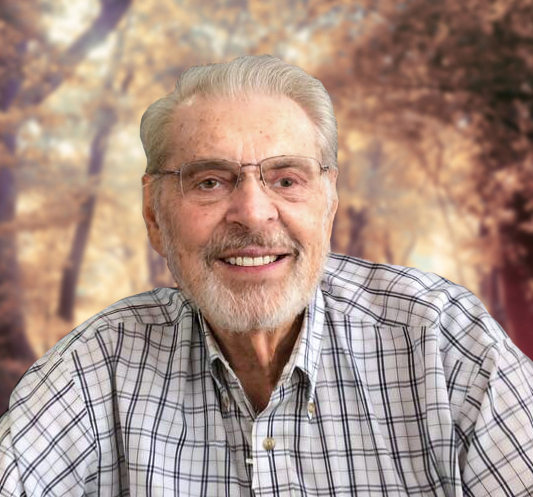 r. Bart P. Billings has been working in the fields of Mental Health, Human Services and Management for over forty-eight years. He possesses licenses in Clinical Psychology, Marriage and Family Therapy and has past expertise as a Certified Rehabilitation Counselor. In Feb.2014, he received the International Human Rights Award from the Citizens Commission On Human Rights (CCHR). Dr Billings most recent award on June 3, 2016 was presented to him from the University where he received his BS and MS Degrees, the University Of Scranton. This Jesuit University’s highest award is the Frank O’Hara Award, given for living the Jesuit values of Serving Others over his career. 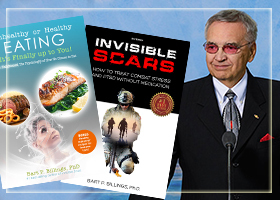 His book, Invisible Scars – Treating Combat Stress, PTSD Without Medication covers over 40 years of his work with Combat Stress’ residual effects on our veterans and their families. His book, Unhealthy or Healthy Eating, It's Finally Up to You!, shows you how to overcome food addictions with the use of his Choice Theory Psychology to help you make the right food and nutrition choices. 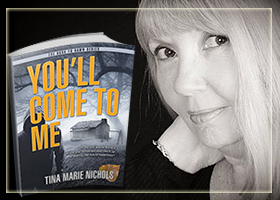 ina M Nichols is an avid reader and always dreamed of being a writer. With You’ll Come To Me, she has taken the plunge into the literary world. Tina, was born and raised in Missouri, attended high school and college in Union, Missouri. She has been married for thirty-five years and currently live on the Gulf Coast of Florida with their family. ebra Stokes began her career in broadcast journalism, both on and off camera. Her vast professional experiences include a tour of duty with a quasi-governmental agency, a corporate communications position with a utility giant, and currently as an executive assistant position within the Georgia General Assembly. 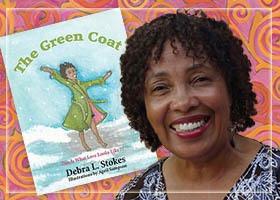 Although those were the “primary” jobs held by Mrs. Stokes, there were certainly many others including retail, telemarketing, meeting planning, product development and business ownership. Stokes is married to Alabama’s Crimson Tide running back Ralph Stokes. They have been married for more than 40 years. She has two daughters, of whom she is very proud, and is the grandmother of two energetic little girls. 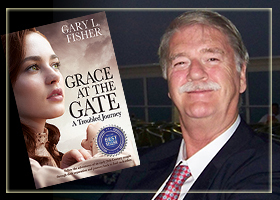 ary L Fisher's book, Grace at the Gate, is one of those very rare treats, mixing historical accounts into a wonderful love story that crosses though time. Some of history's most colorful characters come back to life, Buffalo Bill Cody, Theodore Roosevelt, and Mark Twain, all make appearances in the story, even the Wright Brothers first manned flight occurs as the tale unfolds through the eyes of star-crossed lovers Charlie and Grace. A story so wonderfully real you won't be able to put it down! 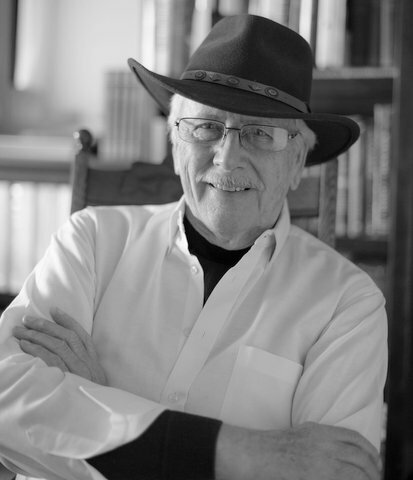 Gary, a first-time author with DocUmeant Publishing, retired from a life-long profession of television and video production, working in commercial television stations, hospital video production and in a community college setting in Iowa, Florida and Tennessee. 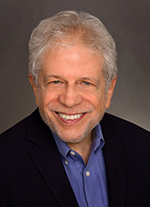 He has written, produced or directed over 5,000 television commercials, documentary scripts, informational programs and many television productions. His 45-year career in the field has won him awards and citations for excellence in video production. 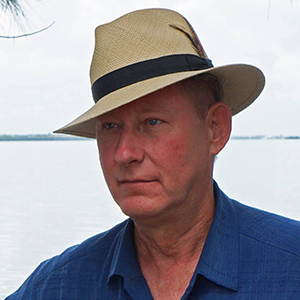 Upon his retirement to Florida he turned to writing a novel that grew out of ancestral research and exploration of his family tree. His hobbies include barbershop singing, traveling, writing and spending time with his wife, Marilyn, daughter, Sarah, and two dogs in the beach community of Venice on the Gulf of Mexico. orn and raised in Allentown Pa. Weber family had operated a funeral home there since 1928. Jerry first graduated Temple University in Phil. and then graduated from the American Academy of Funeral Service in New York City. He later received a BA in History from Wilkes University in Wilkes-Barre, Pa. After serving in the US Army in Vietnam, he joined his father and uncle in the family business. After his father’s retirement he became the owner of the business. This included three funeral homes and a cemetery. Jerry is married for 46 years to Cynthia Wisniewski who was a nursing educator and also a Pennsylvania licensed funeral director. The couple has two married daughters. Annette lives in Baltimore, MD and Natalie in Berlin, Germany. They have five grandchildren. 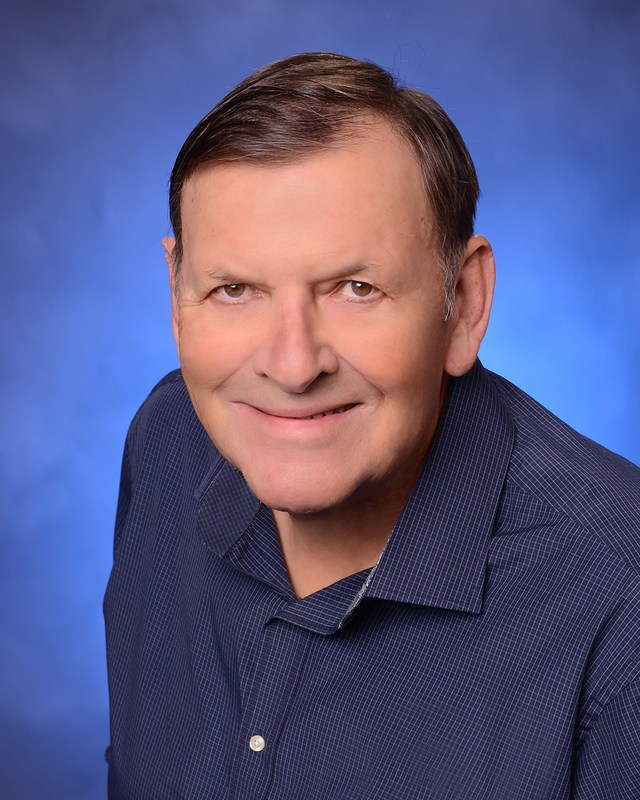 Jerry flew airplanes and is a commercial pilot; he is also interested in Antique Automobiles and is a judge for the Antique Automobile Club of America. Jerry and Cynthia reside in Venice Florida. raduating from high school in Potomac, Illinois, May moved to Florida to attend college. He then joined the Pinellas County Sheriff Office and worked in uniform and the vice unit, saying it was in law enforcement that he became trilingual. He speaks Yankee and Southern fluently and Redneck in a pinch. 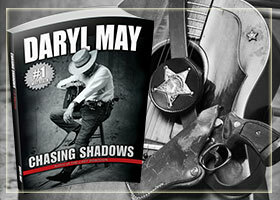 Virtually overnight, author Daryl May closed out his career in law enforcement to perform standup comedy in posh nightclubs and one night shows around the country. He worked gigs on Caribbean cruise ships and Australian ski resorts. As a guitarist, he sang his own songs and wrote a hit for country legend Mel Tillis. 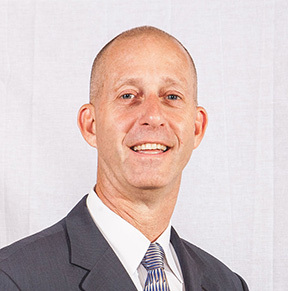 After a successful twenty year career in entertainment, he returned to work for Pinellas County government as director of a small tax fraud unit. Now retired, May lives with his wife Brenda in Florida. 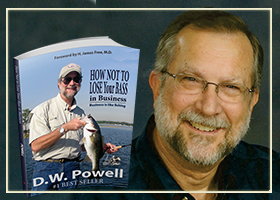 He is also a sculptor, has filmed and written songs for a documentary on Florida’s St. Johns River – Whisper of the River - and has authored three books. His fourth book – Cue the Cavalry – will be available in time for the 2016 holidays. This mother and daughter team founded “Strategic Ladies” passionate about creating bio-individualized change. They have grown and transformed individually and together are now focused on doing amazing things for others.On their website at http://strategicladies.com you can read more about their individual paths and profiles to see how they joined forces to form a successful business, relationship, radio show, and the completion of their lifelong dream of a doctoral journey together. They are both a true inspiration to us all. 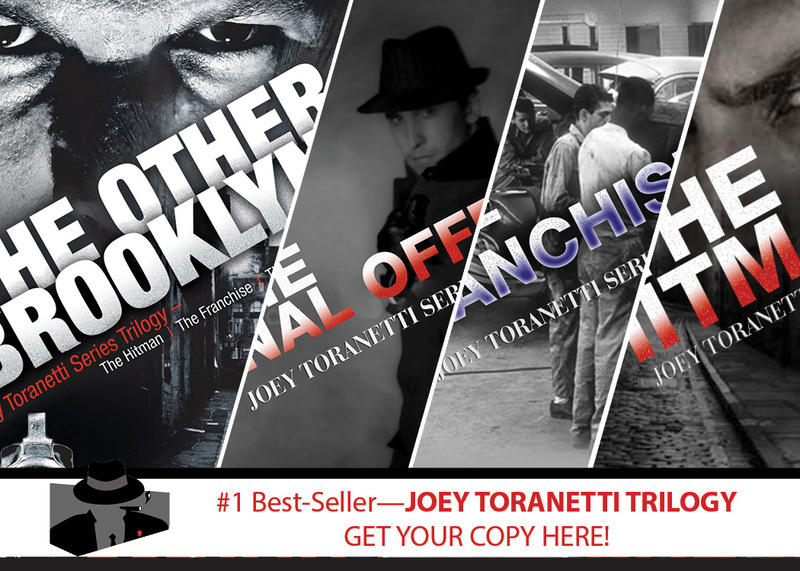 Now Available in Print, Kindle, and AUDIOBOOK! 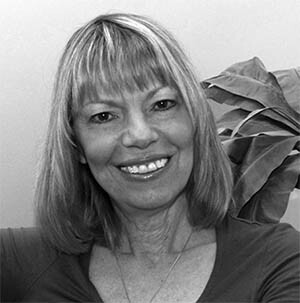 oxanne Goodman grew up in the vibrant city of Montreal, a first generation Canadian of Trinidadian parents. She lived in a rich atmosphere of music and theatre yet still managed to be terribly fearful and shy through elementary and high school. Although she knew she had many things she wanted to share with people, she felt she could not, until she decided to do something that would invariably change her life forever; sing! She has developed the confidence to run her own business, sing, and give speeches in front of thousands of people, direct choirs and always be herself. In 2012 she was awarded the Community Engagement award for her contribution for creating healthy communities through song, and she enthusiastically lives her life as the Confidence Booster who encourages people to realize and develop who they truly are by showing them how to be confident. 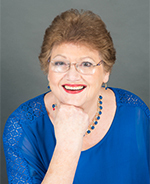 Roxanne Goodman is a passionate and dedicated author, musical artist, teacher and speaker, fully committed to empowering people and bringing out their true voices to emerge and develop. After stumbling along and living a life of fear and social anguish, she discovered how to "rise higher" and overcome her circumstances to enjoy a now limitless and fulfilling life. Roxanne believes that every human being on this earth has the capacity and responsibility to develop and share their gifts and talents with others. That people are here to make this world a better place by fully being themselves; and that starts by living confidently. worked his way up to retire after thirty years as the Interim Director of Outside Plant Instruction. what he had always done was what he was supposed to do—help others help themselves to realize their dreams. 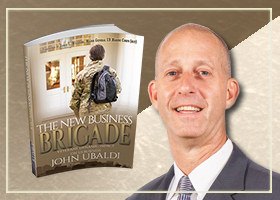 John Ubaldi is a retired 30 year veteran of the United States Marine Corps with three combat tours in Iraq and Afghanistan. During his time in the Marine Corps, John became one of the foremost authorities on Civil Affairs as it relates to Counterinsurgency and Irregular Warfare, and with his knowledge of Middle Eastern Culture and National Security policy, he appeared on a number of news programs including the syndicated, “Washington Journal”. 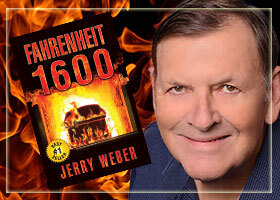 As an author, he has also written articles for various military journals. Witnessing firsthand the high degree of poverty and devastation in the Middle East as a marine, John personally organized $6 million dollars in humanitarian aid to Iraq, Afghanistan, Thailand, Nicaragua, and the Philippines. He received his B.A. in government from California State University in Sacramento, and an M.A. in National Security Services from the American Military University. 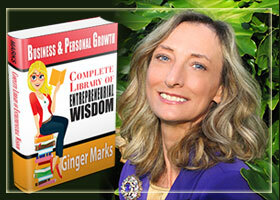 Ginger Marks has been assisting business owners and authors her whole life and has numerous business articles, books, and reports to her credit. Her books include Presentational Skills for the Next Generation and her Complete Library of Entrepreneurial Skills which took 10 years to write and contains 30 years of business experience. Every year she writes her award winning marketing book, Weird & Wacky Holiday Marketing Guide. All of Ginger's books are available on Amazon in print and Kindle and at your local book stores. Wayne G. MacDowell was born in Woodbury, New Jersey, and raised in the greater Philadelphia area. He has enjoyed a long and successful career in sales and marketing in the tea and coffee industry. 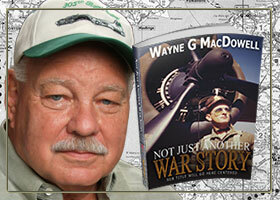 A member of the Florida Writers Association, this is Wayne's second novel, to which he has devoted 9 years of research. 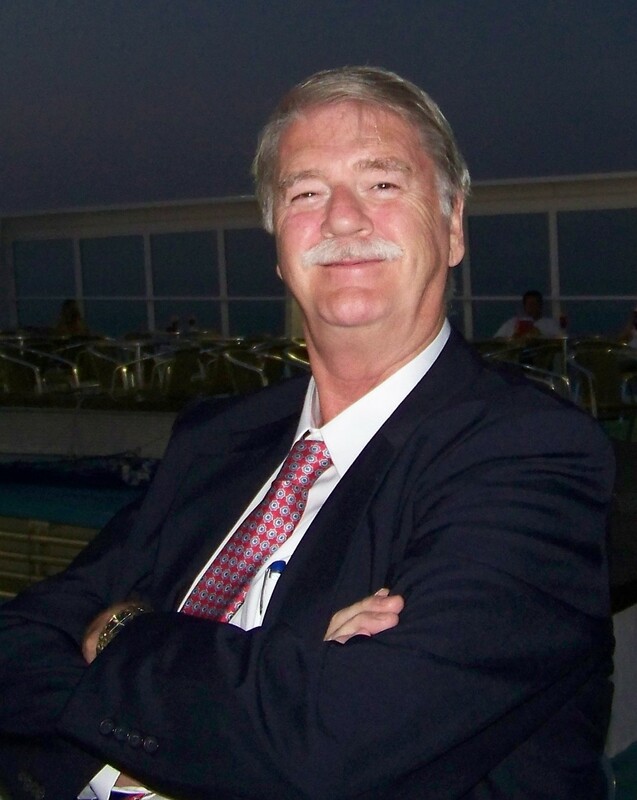 Wayne is currently retired and resides in St. Pete Beach, Florida, where he makes time for the pleasures of boating, tennis, volunteer work, and family and friends. Wendy VanHatten, Magazine Editor & Travel Writer Wendy VanHatten is a published author, magazine editor, and travel writer. She edits authors’ manuscripts and conducts writing workshops as well. Living with her husband and two cats in northern California, Wendy finds time to travel in her spare time. Learn more about Wendy at www.wendyvanhatten.com and www.travelandescapes.net. Joyce was born in Lansing, Michigan one cold February midnight, the sister to four elder siblings. As the youngest child she grew to learn to “hang tough” during the rocky times of life. People sometimes see her as aggressive and outspoken but she uses those characteristics to speak up for those who have no voice. This tenacity of will, her love for words, and her hope in Jesus brought her to the news industry. It’s also helped keep her marriage to her beloved ministerial husband alive for more than 44 years. Joyce is retired from TriStates Public Radio WIUM/WIUW of Macomb, Illinois and has spent many years working as a volunteer with the Salvation Army. 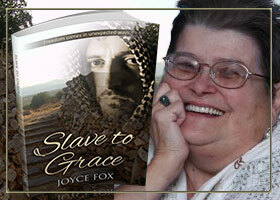 Joyce now resides in Cleveland, TN. where she is currently studying for licensure in Clinical Mental Health at the Pentecostal Theological Seminary. DEE LOUIS-SCOTT is retiring from 30 years as a Federal employee. She has an adult daughter Autumn and is experiencing life as an empty nester. It has been 20 years since her mother’s death. The life lessons learned from her mom have been both powerful and inspirational. They have guided her throughout her life. Dee now lives in Raymore, Missouri. Dawna is an author, speaker, and bible study teacher. She is a speaker for Stonecroft Ministries, and speaks at women’s connection groups. She also speaks at women’s retreats encouraging women to develop healthy relationships. She states, “I find true joy investing time in others.” Dawna founded a women’s group called the “Jericho Girls.” The group meets to discuss the walls they build around their hearts that prohibit relationships with others. After forming the group, Dawna realized that she too had walls. So she began to write about her journey with “The Jericho Girls.” This journal inspired her to write her book, Walls of a Warrior. It is Dawna’s vision that reading about her journey will inspire women to begin their own “Jericho Girls” groups and break down walls of hearts worldwide. Dawna was born and raised in Southern California. In 1989 she married her high school sweetheart, David, and eventually moved to Colorado. Currently she resides in Elizabeth, Colorado with her two rescue Siberian Huskies, Hanah and Zorro. Dawna is the broker and owner of her own real estate firm, New Dawn Realty. Dawna enjoys golf, motorcycle riding with her husband, cooking, praying, preparing lesson plans for her Bible study group, and simply spending time with her ‘sister-girls’. 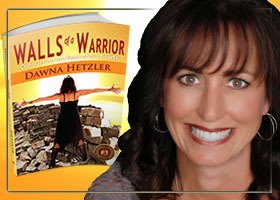 For more information, visit her website at: DawnaHetzler.com. TRISH HARLESTON is a Licensed and Ordained Minister residing in Durham, NC. For the last few years, she has authored a weekly internet inspirational message entitled Weekly Word for Your Daily Walk. It is from this ministry that her recent publication, Weekly Word for Your Daily Walk Devotional and Prayer Journal was birthed. Rev. Harleston is a passionate and prayerful preacher; an astute and arousing author; and an energetic and engaging speaker. She is a woman with a heart for serving Christ and is a vessel with a relevant message for God’s people; a teacher of the Word who leaves the audience desiring more of God. Rev. 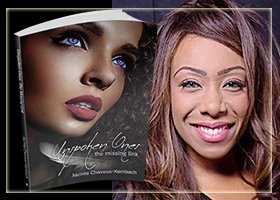 Harleston’s first publication, Monti’s Story: Love Lifted Me is a narrative of her nephew’s struggle through depression and grief. 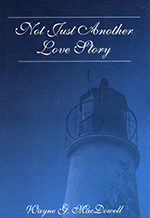 She effectively captures his story from a collection of writings gathered after his death. Her method of writing and of preaching is one that uses real life stories to present the relevancy of God’s timeless message in the challenges that face us today. Her passion lies in energetically and creatively bringing scripture to life through her preaching, teaching and writing. Rev. Harleston is married with two adult children and two grandchildren. 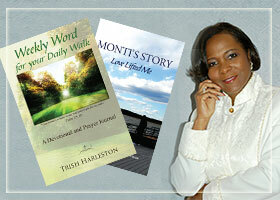 To schedule speaking engagements, visit www.trishharleston.com. Terry R. Minion, AuthorAfter Terry started the first Commercial Truck Department in June 1989, their dealership became number one in their market region. In January 1993, he began the second operation. With the accumulated experience and knowledge, he was able to take this operation from non-existent to the number two commercial Chevy dealer in just over a year in the Pacific Coast Region, which is from Alaska to Bakersfield, California including Northern Nevada and Hawaii. The second year, they went to number one and consistently remained in the top 50 dealers nationwide. That was done in a city with 80,000 people. People that he hired and taught went on to begin their own commercial truck operations at other dealerships with similar or even greater results. 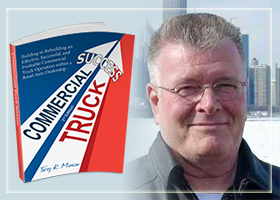 Terry has developed websites about commercial trucks offering free valuable information, including a book on sales, wrote in 1990. Also, he has developed a popular blog and bi-monthly newsletter which goes out to almost every state in the U.S. Our Commercial Truck Success Blog is his most popular and varied product that, as of this writing, gets over 100,000 hits per month and 13,000 page views per month. In addition, his company builds websites, blogs, manages social media, creates videos, and much more for commercial truck dealerships, retail dealerships, body companies, truck accessory companies, and many other kinds of businesses. Minion's experience is from many different perspectives having been in different positions in and around the auto dealership venue. It is not past experience, but continuing experience, for he is still very involved with commercial trucks, dealerships, and other related businesses. Myron & Wendy VanHattenYes, Myron…life should be enjoyed. According to Myron, cats can teach us all about enjoying life in a purr-fectly good manner. He should know. He is a pampered cat with a great attitude. 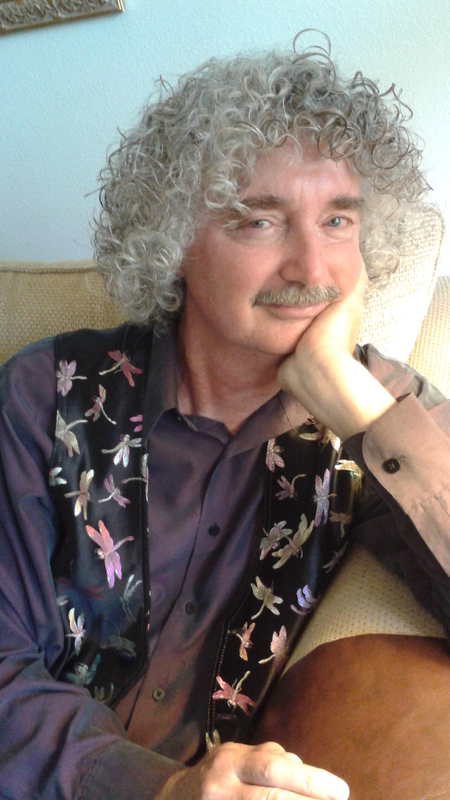 Enjoy the wisdom and humor as Myron takes us on a journey of life according to a cat. 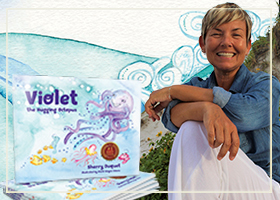 Wendy VanHatten, the ghostwriter (actually Myron’s staff), is a published author, magazine editor, and travel writer. She edits authors’ manuscripts and conducts writing workshops as well. Living with her husband and two cats in northern California, Wendy finds time to travel in her spare time. 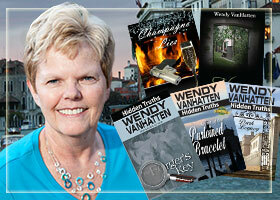 Learn more about Wendy at www.vhwritingservices.com. Myron tells her he has another book in him…of course it could be just another meow. Who knows? 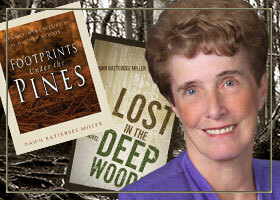 Dawn Batterbee Miller is an award winning author. She authored God’s Family Tree, published in 1994 by Church Growth Institute and numerous articles published world wide in various Christian periodicals. For several years she served as editor and publisher of Women in Ministry, a denominational women’s paper. She is also a retired public school teacher and holds master’s degrees in education and communication arts. Visit her on the web at Dawn Creations. Recognized as The Voice of Child-Centered Divorce, Rosalind Sedacca, CCT, is the author of, How Do I Tell the Kids about the Divorce? A Create-a-Storybook™ Guide to Preparing Your Children—with Love! 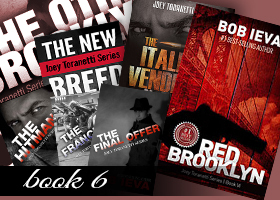 This easy-to-read ebook is unique because it doesn’t just tell you what to say. It says it for you! 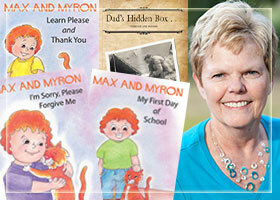 Rosalind guides parents through fill-in-the-blank templates to create an attractive storybook with family history and photos to help parents convey, with love and compassion, the six key messages every child needs to hear. Therapists, attorneys, mediators, coaches and other divorce professionals throughout the US and beyond have endorsed Rosalind’s book. Rosalind is also the author of How to Break in as a Professional Speaker or Trainer and is profiled in Blythe Camenson’s VGM Career Portrait book, Writing as well as Dana Cassell’s book, Writers at Work. 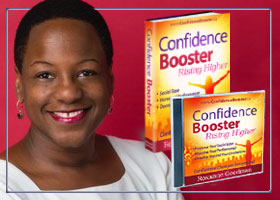 An award-winning national speaker and workshop facilitator, Rosalind is a Certified Corporate Trainer. 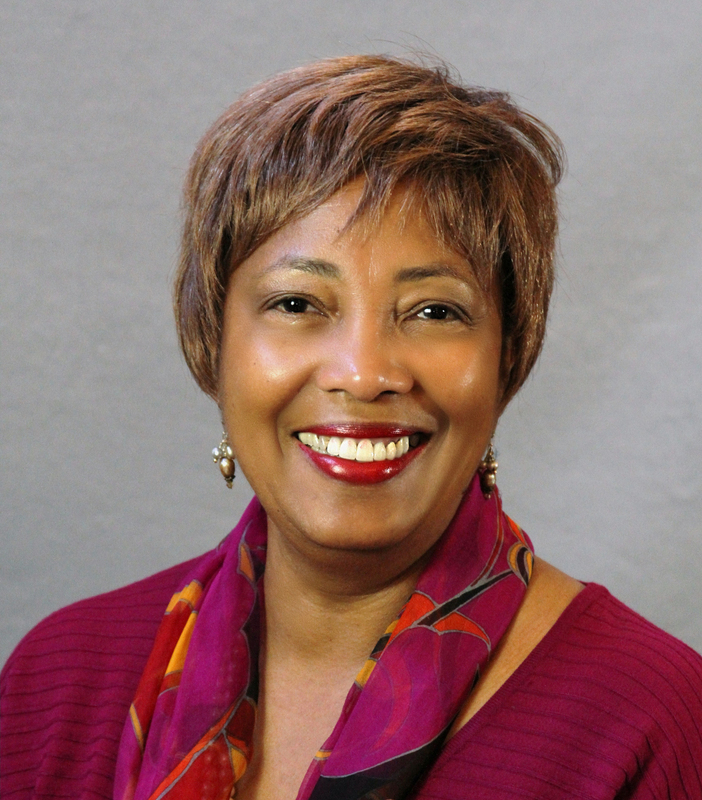 She served five years on the Board of Directors of the Florida Speakers Association and has facilitated workshops for business, professional and spiritual organizations throughout North America. Rosalind writes a monthly column for divorceinteractive.com, is an Advisor at ParentalWisdom.com, on the Board of Directors of WE Magazine for Women, a Contributing Expert for Divorce360.com, on the Panel of Experts for the National Association of Divorce for Women and Children (NADWC.com), a Monthly Columnist for DivorceInteractive.com, a Contributing Columnist for MommyMentors.com and a Contributing Author to Exceptional Magazine. 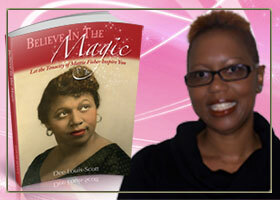 She is also the 2008 National First Place Winner of the Victorious Woman Award. Today Rosalind shares her expertise through TV and radio programs, print interviews, newsletters, teleseminars and content-rich articles. 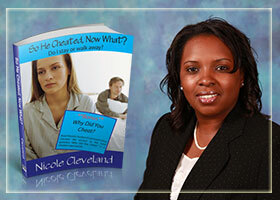 To learn more about her book, free ezine, blog, articles and other valuable resources for families experiencing divorce or separation, visit http://www.childcentereddivorce.com or http://www.howdoitellthekids.com. Author, How Do I Tell the Kids about the Divorce? 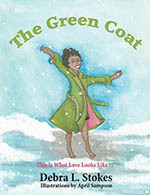 A Create-a-Storybook Guide to Preparing Your Children—with Love! Amy Sherman, LMHC is a licensed mental health counselor in the state of Florida, with a master's degree in Counseling/Psychology from Vermont College. She has over 16 years experience in the field and has worked with adolescent substance abusers, abused men, women and children, patients with severe mental illness and the elderly. 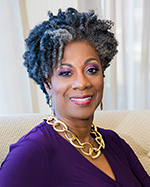 She is an educator, a seminar/workshop leader and a group facilitator, and offers programs and trainings around Palm Beach County, FL to numerous professional, spiritual and civic organizations. 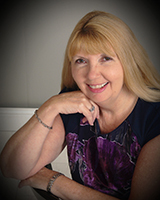 Amy is also a trained clinical hypnotherapist, specializing in anxiety and health issues. Amy's passion has always been to empower people so that they reach their full potential. She does this by following a holistic approach to therapy, integrating all aspects of the body, mind and spirit into her sessions. She recognizes that the physical, mental, emotional and spiritual dimensions of a person are important for an individual's well-being and that anything is possible with the proper direction. Amy's recent focus has been on baby boomers and as a boomer herself, she is aware of the special issues boomers face. She is committed to helping others who are having personal issues too difficult to handle themselves. Amy is the author of the e-book, Distress-Free Aging: A Boomer’s Guide to Creating a Fulfilled and Purposeful Life. The ten strategies outlined offer boomers valuable techniques and tools that change behavior patterns from the past that had caused struggle and failure before. Amy offers individual, family and group sessions in her West Palm Beach office and is available for coaching and consultations by phone. Sandi LovrecicSandi Lovrecic, born in Koper, Slovenia. In 1999 he began writing poetry, in his native Slovenian language. It soon became his pleasure and his passion. His infatuation with writing in the Italian language was born after he participated in the National Festival of New Entries, held in Miasino (Novara), Italy, in July 2007. He decided to write poems and share his gift with others who are trying to unleash the beauty in their soul. Nicole Cleveland is Chief Editor and Founder of "Breathe Again Magazine." She resides in Norfolk, Virginia with her family where she is wife to one amazing man and “mom” to three wonderful children that keep her laughing each day. God is Nicole’s all in all. He is the steady “rock” that stays con-sistent in her life. Reading, acting, spending time with her family and “trying” to sing are a few things she loves to do. Nicole is on a mission to ensure women are not “suffering in secret” like she once was, that is why she tells her testi-mony everywhere she goes. 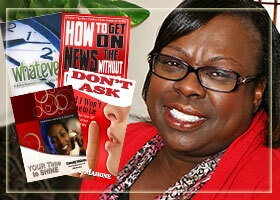 Feel free to contact her at editor .at breatheagainmagazine.com and /or visit her website www.nicoleconline.com. To book Nicole for speaking engagements contact info .at. breatheagain.org. 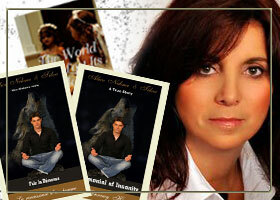 Alice Nehme, AuthorAlice Nehme is the author of The World Has Lost Its Heart and A Testimonial of Insanity. She is of Lebanese decent and speaks five languages. Having grown up in a difficult family, she experienced family aide programs at a very early age. This was the inspiration for Alice to become a teacher and motivator for over 25 years. 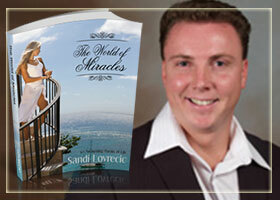 She has a unique ability to help others find solutions and create the miracle they have been looking for. 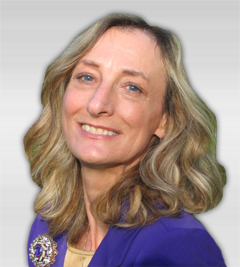 She is currently a member of Al-anon and a strong advocate against addiction. She resides in Montreal, Quebec with two beautiful and balanced children who for the most part, raised on her own. 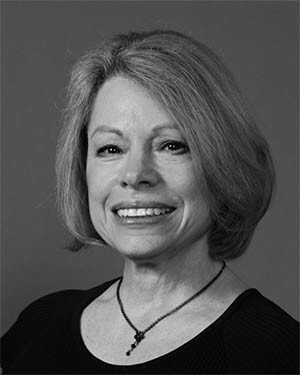 Beverly MahoneBeverly is the host of a weekly talk/music show called The Boomer Beat on WCOM Radio in Carrboro, North Carolina (1035.5FM). Through her social media marketing skills, Beverly created Boomer Diva Nation; an online community made up of women over 40 who represent the baby boomer woman. She is also a member of the Vibrant Nation Blog Circle, Boomer Authority, Boomer-Living and can also be found on Facebook, Twitter and LinkedIn. 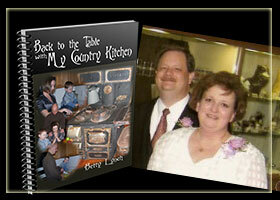 Betty Lynch, author of Back to the Table with My Country Kitchen, and owner of My Country Kitchen, Easy Answers to Bring Your Family Together. Betty is married to her best friend of more than 23 years, Doyle, and they have two four legged children (Copper and Harry). Betty and Doyle make their home in East Texas where they enjoy bowling on mixed leagues together. Betty loves collecting recipes from friends, family and during their travels. My Country Kitchen prides itself in helping family's cook easy, convenient meals so that the family can save money in today's economy. Recipes, tips and ideas for easy and nutritious meals are only a click away.